On 10 April Reading Borough Council (RBC) made changes to the priorities at the Albert/Highmoor Road junction. My earlier post sets these out. Qu: How does the Highway Code say the junction should be driven? Does anyone have right of way? A: The junction is made up of 2 STOP approaches and 2 Give-Way approaches. Vehicles approaching the STOP approaches must stop and wait for a safe gap before moving off. Vehicles approaching the Give-Way must give way to traffic on the main road (i.e. the junction), so they must be prepared to stop. Therefore, traffic approaching along Albert Road must prepare to stop and give way if traffic emerging from Highmoor Road considered that it was clear to move off (or if turning traffic considers that it is clear to conduct this manoeuvre) and is entering/has entered the junction. 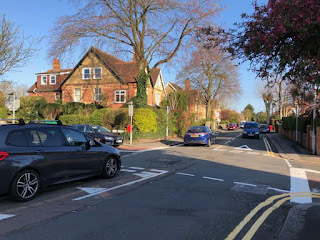 This overcomes the prior situation, where traffic on Albert Road considered that it had the right of way and where many motorists would be making no alterations to their driving (speed) to take into account their approach to this junction. In a situation where vehicles on Albert Road approach the junction in both directions, reasonable motorists could be expected to take turns in proceeding, depending on their indicated direction of travel. Qu: Will RBC be reviewing the success of the changes and if so, when? A: Casualty data obtained from the police has evidenced the historic road safety issues at this junction. This data is monitored and, following the implementation of these changes, we expect to see a reduction in - and hopefully no further - accidents involving injury at this location. Qu: Why, having told the local residents’ action group HARC, and local councillors that the STOP line on the west side of the junction could not be moved nearer the junction (thereby improving visibility - which is one of the actions originally requested) has it been done? This improvement could have prevented the need for making Albert Road drivers from needing to GIVE WAY? A: While I do not have the context of the statement made to HARC, I expect that this was stated because the junction is on a slight bend in the road and that the road is also not particularly wide at this point. Traffic travelling along Albert Road (particularly in a southbound direction) was slightly cutting this bend, reducing the width on the west side even further during free-flow. Moving the stop line out in this context would have created a risk of collision with the stopped traffic and the 'pinched' northbound lane. 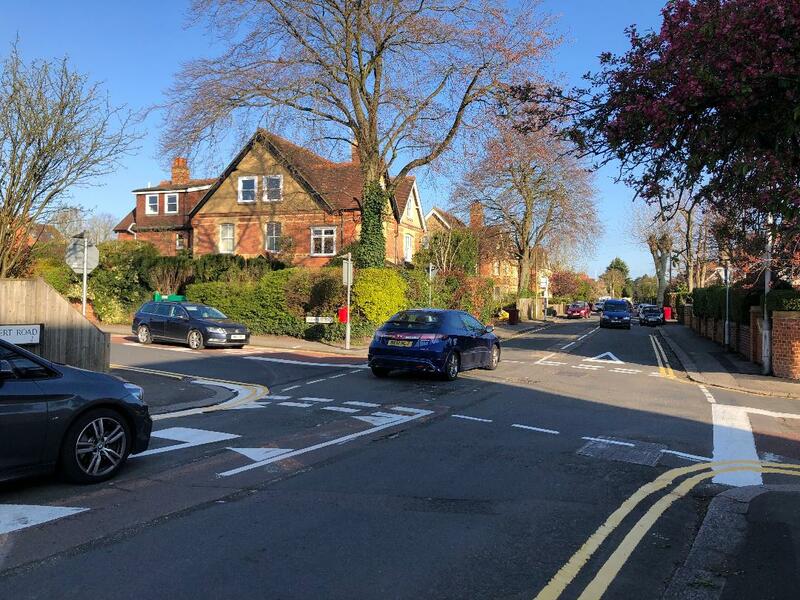 Now, however, Albert Road traffic will be considerably slower through the junction and must be prepared to stop/give way, and the cutting of the bend should also no longer be an issue. We have, therefore, been able to slightly move out the stop line. This has been a change in a particularly sensitive area and it will take a little while for motorists to become familiar with the new layout. 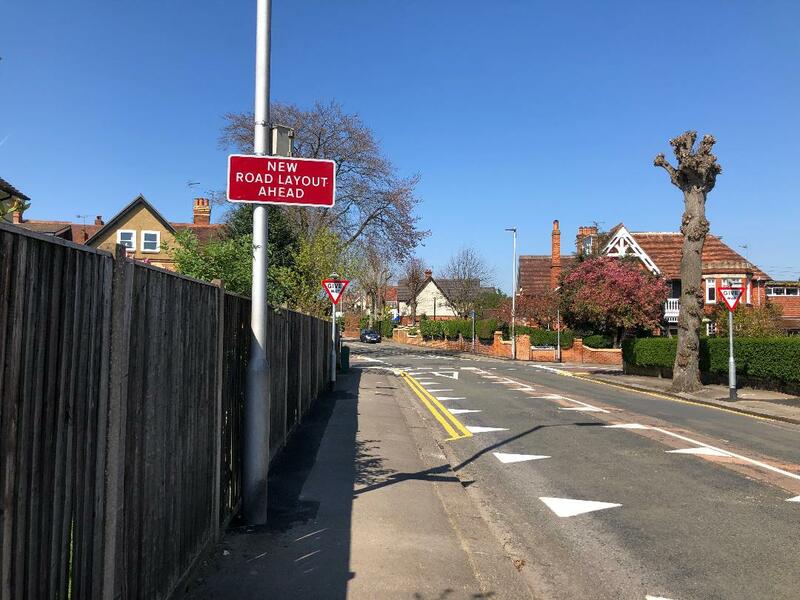 Reading Borough Council implemented changes to the cross roads of Albert and Highmoor Road yesterday afternoon, Wednesday 10 April. Now drivers along Albert Road should give way, having always previously had the right of way across the junction. On my way to work this morning I was horrified to see that no warning notices had been put up alerting Albert Road drivers of the changes. I parked up and watched, powerless, as the first of 3 near collisions happened. I rang the police and then an RBC Highways officer (who I know always gets in early) with my safety concerns. Another 2 near collisions happened whilst I was talking. The RBC officer promised to take action so after about 15 minutes there I continued on my journey to work. I was called back at 8.41 am by another officer who reassured me that RBC people were attending and that notification signs warning drivers of the priority changes would be installed later this morning. To recap, these junction changes were brought in to improve safety following a series of collisions, one of which led to the tragic death of a pedestrian. Ironically, to my knowledge there haven't been any collisions in the last few months. The changes implemented yesterday, however, were not what the local community, supported by my Conservative colleague Cllr Ed Hopper and me, had called for, but a compromise. 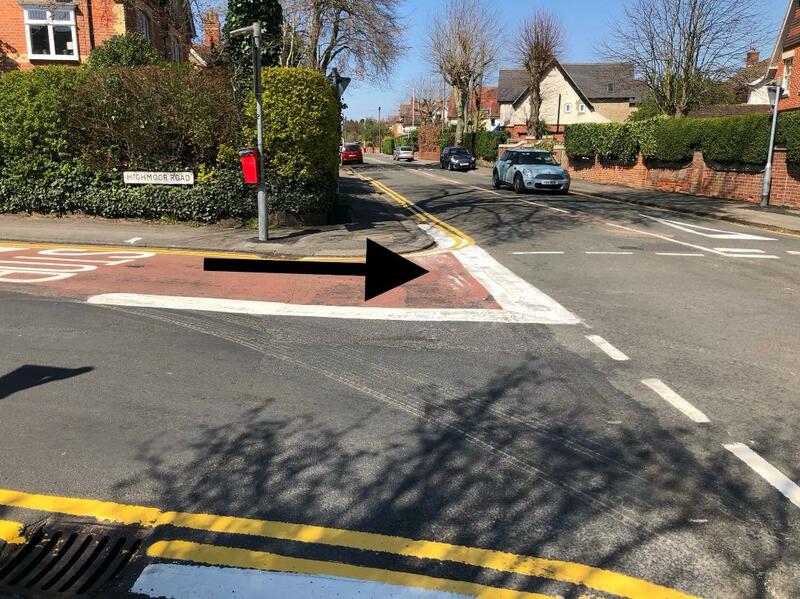 Originally, apart from asking for the faded white road markings to be freshly painted, we had asked for the Highmoor Road stop line to be moved forward a foot, improving the sight lines. We also asked for the markings in the centre of the junction to be removed. I will be monitoring the junction carefully as so many of Mapledurham Ward residents and others in Caversham Heights go through it on a daily basis, including my family and me. UPDATE: Red signs have been put up saying "New road layout ahead" following my request first thing today. Do let me know if you think this is adequate or if more should be done.